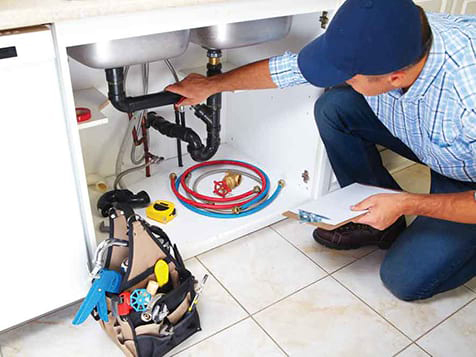 How do I buy a ServiceMaster® Plumbing Franchise? ServiceMaster®, has been helping people like you start businesses since 1952. There’s never been a better time to join the team with our newest franchise opportunity. 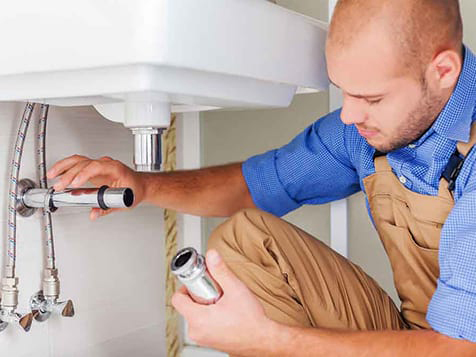 ServiceMaster Plumbing™ offers both residential and commercial plumbing services. Open ServiceMaster® Plumbing in any of these available states: AK, AL, AR, AZ, CA, CO, CT, DC, DE, FL, GA, IA, ID, IL, IN, KS, KY, LA, MA, MD, ME, MI, MN, MO, MS, MT, NC, ND, NE, NH, NJ, NM, NV, NY, OH, OK, OR, PA, RI, SC, SD, TN, TX, UT, VA, VT, WA, WI, WV, WY. For more than 85 years, ServiceMaster®Global Holdings, Inc. has solved the homeowner’s dilemma. Each day, our trusted professionals provide essential residential and commercial services to more than 75,000 homes and businesses, solving many of the challenges owners face daily. We accomplish this through our network of well-recognized brands that include American Home Shield®, Terminix®, AmeriSpec®, Furniture Medic®, Merry Maids®, ServiceMaster Clean®, ServiceMaster Plumbing, and ServiceMaster Restore®. Whether you’re an experienced plumber looking to take your business to the next level or are newly-licensed and confused on where to begin, franchising with ServiceMaster Plumbing is the answer. ServiceMaster Plumbing gives you marketing, back-office, and business development support so that you can focus on your customers. We also offer an Area Representative license, which is a master franchise license. As a ServiceMaster Plumbing Area Representative, you have the opportunity to help franchisees in your territory develop, share in the franchise fees by selling franchise licenses, train and support your franchisees, and manage a marketing fund. At ServiceMaster, our franchisees are business-minded individuals with strong management skills and outstanding customer service who enjoy working with people. ServiceMaster Franchises Services Group encompasses several highly recognized brands and has 65 years of franchise experience. Through our ServiceMaster affiliate, The ServiceMaster Acceptance Company (SMAC), we can finance up to 80% of the initial franchise fee, equipment costs, and supply costs (to credit qualified individuals) to help you start your business. The franchise sales information in this communication does not constitute an offer to sell a franchise. The offer of a franchise can only be made through the delivery of a Franchise Disclosure Document. Certain states require that we register the franchise disclosure document in those states before offering and selling a franchise in that jurisdiction. NY NOTE: This advertisement is not an offering. An offering can only be made by a prospectus filed first with the Department of Law of the State of New York. Such filing does not constitute approval by the Department of Law. Moreover, we will not offer or sell franchises in those states until we have registered the franchise (or obtained an applicable exemption from registration) and delivered the Franchise Disclosure Document to the prospective franchisee in compliance with law. SM Clean L.L.C. Minnesota File No. 7982. SM Clean L.L.C., 860 Ridge Lake Blvd., C2-7000, Memphis, Tennessee 38120. © 2017 SM Clean L.L.C. All rights reserved. ServiceMaster® Plumbing is not currently active in our directory, but here are some other recommended selections for you to explore.